See where some of the most adventurous travelers are putting down temporary roots to explore emerging destinations. “Adventure travel” is a loosely defined term. But generally, it’s a trip that combines three things: nature, physical activity, and cultural immersion. Where people go to really get away seems to change each year. So we went on the hunt for a few of the hottest (and coldest) adventure travel destinations trending right now. Adventure travelers who like variety — both outdoor and cultural expeditions — are coming to appreciate what Portugal has to offer. Lisbon is the tourist hub here, and the food is a big draw in this and other traditional towns like Coimbra and Porto. Some consider this European country a quieter cousin to Spain. It’s also more affordable. And without the crowds and price tags, explorations seem even more accessible. Our top adventure travel pick is hiking to Pico do Pedro, the highest point in Portugal. 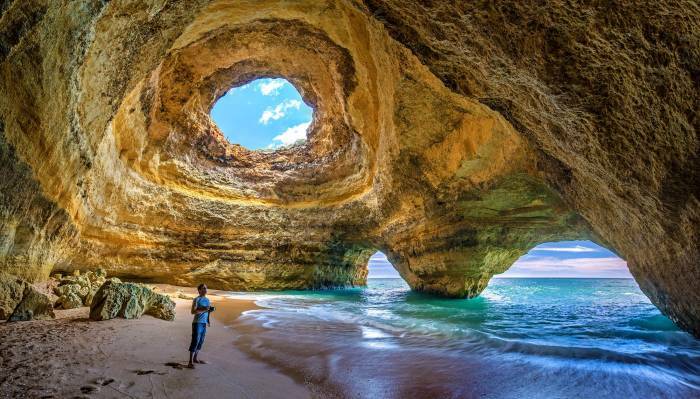 But there is also plenty of rock climbing, snorkeling, other sea adventures, and island-hopping excursions around Portugal. The Middle East is slowly opening up to more visitors each year. Jordan is topping the latest trending destinations, but there are others worth exploring like Egypt and Oman. You just need to keep an open mind. If you can, the opportunities for adventure are rich — from wild dunes, canyons, and coastlines to walled cities, markets, and mosques. In Jordan, head to the Wadi Rum desert, also known as the Valley of the Moon, where you can hike, climb, and ride camel-back. It’s been described as the closest you can get to camping on Mars. 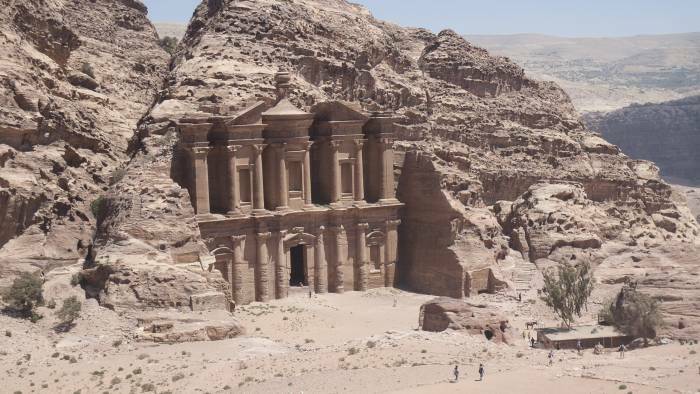 Other top adventures include the breathtaking ruins at Petra or diving or snorkeling in the Red Sea. Costa Rica and Belize are already South American hotspots because they’re relatively safe destinations with plenty of outdoor adventures. 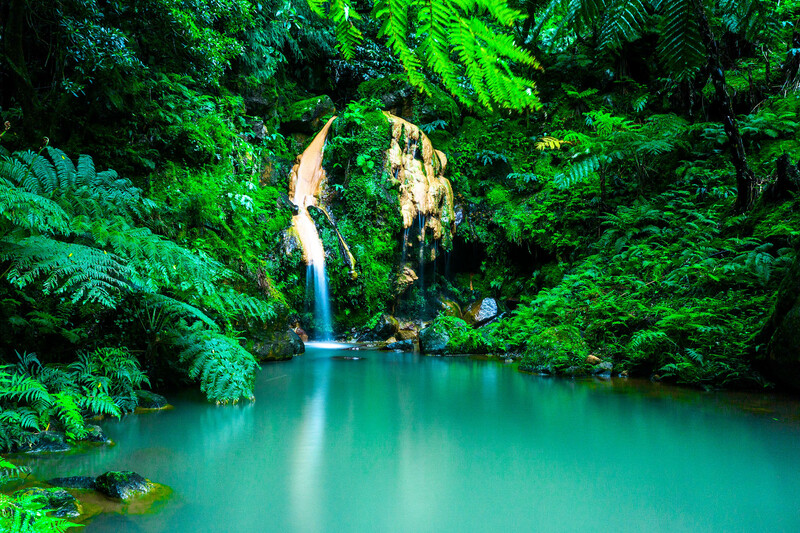 But Nicaragua has rainforests, waterfalls, volcanoes, and national parks, too. And it’s not hard to get to from the States. 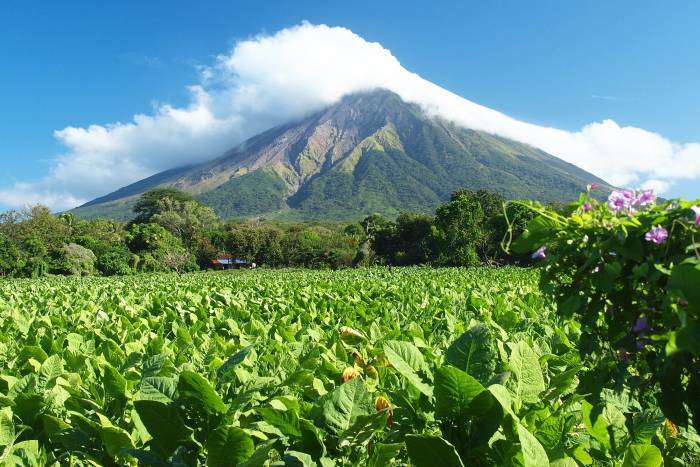 Visit the island Ometepe in the center of Lake Nicaragua and take a step back in time. Made by two towering volcanoes, one active, this island is an epicenter of adventure. The hiking here, especially on the flanks of the volcano Maderas, is exquisite. Another adventurous spot to consider is the Apoyo Lagoon Natural Reserve. While Nicaragua offers excellent adventure travel opportunities, things can change quickly in this part of the world. Always consider tourist safety updates or consult your travel advisor when planning a trip to Nicaragua. 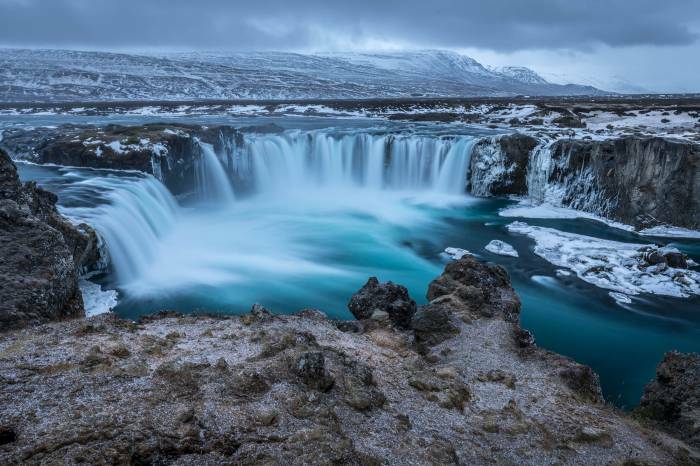 Iceland holds a special appeal, especially for outdoor enthusiasts. Reykjavik, the capital, where half the population lives, is a great jumping off point. Of course, one of Iceland’s most iconic backdrops is its famed Blue Lagoon and other geothermal pools. But adventures around Iceland are vast and rather surreal, including treks on lava “deserts,” glaciers, peaks, and volcanoes. At the unusually formed Thrihnukagigur volcano (“Three Peaks Crater”) in western Iceland, you can even go inside the 700-foot-deep magma chamber. Don’t worry, it hasn’t erupted in thousands of years. Plus, the Icelandic band Kaleo tested its safety by performing its pop song “Way Down We Go” live in this amazing natural chamber. Adventure trips to various parts of Africa, in general, continue to surge in popularity. 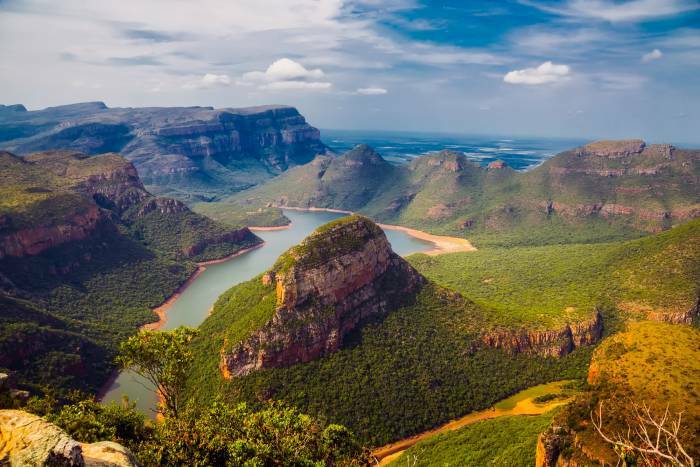 That said, the pristine coastlines and parks of South Africa remain favorites because of the country’s continued focus on the environment and outdoor activities. Or go a little more off the beaten path at the park on 4×4, mountain bike, or wilderness hiking or backpacking trails. 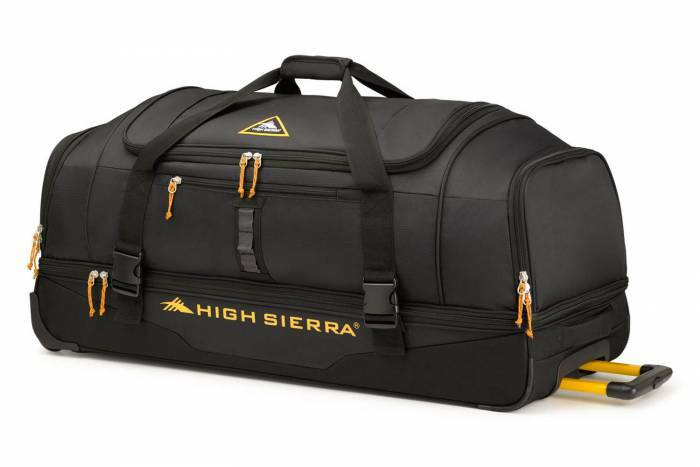 Adventure gear-maker High Sierra took inspiration from top adventure spots like these when making its Pathway luggage collection. The High Sierra Pathway set includes an upright wheeled carry-on with a removable daypack ($125) and a wheeled drop-bottom duffel in two sizes: 28 inches ($125) and 36 inches ($150). This article is sponsored by High Sierra. Want a chance to win your own winter adventure? Enter the Pick Your Powder contest for a chance at an all-expenses-paid trip plus $500 in gear.